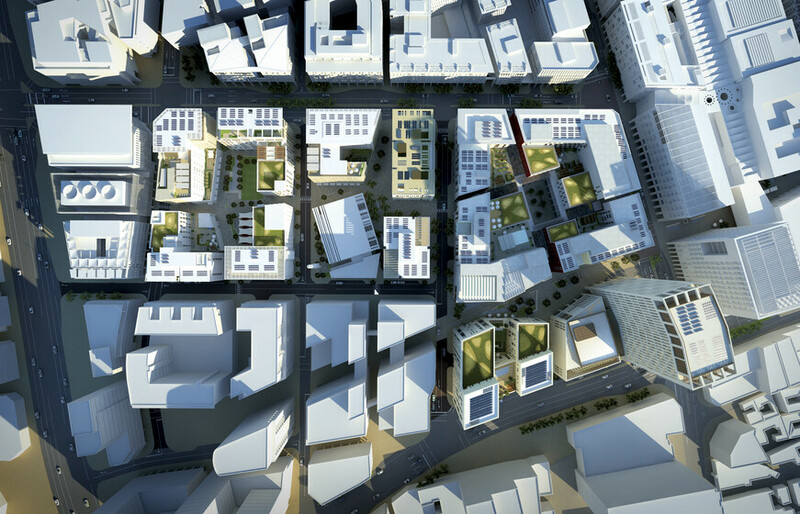 Phase 3 is a large mixed-use city quarter comprising fourteen buildings including apartments, shops, restaurants, offices, two health clubs and a 180-bedroom hotel. The buildings have been designed with a highly ‘passive’ approach to energy load reduction with exceptional levels of insulation and glazing performance for the region. Energy efficient, demand controlled systems further reduce demand on the power network and solar panels provide 75% of the hot water demand and up to 2% of the electricity demand. 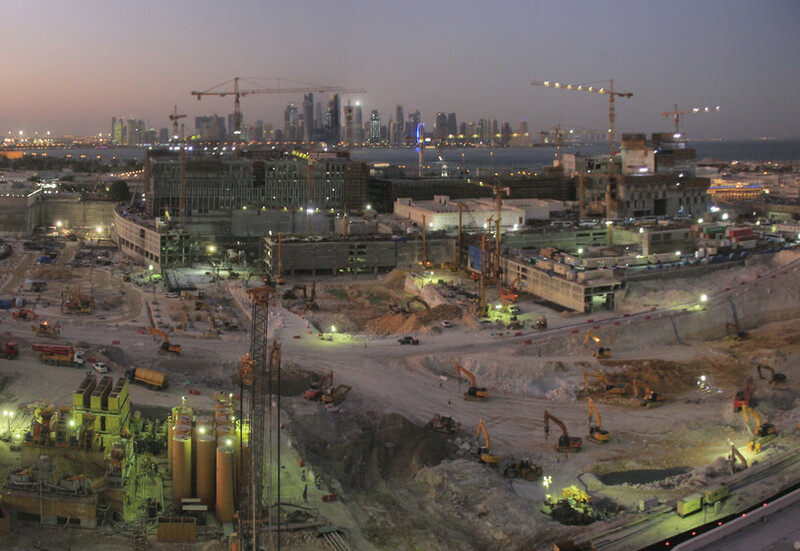 The 35 hectare ‘Downtown Doha’ project in Qatar is being developed in four phases. 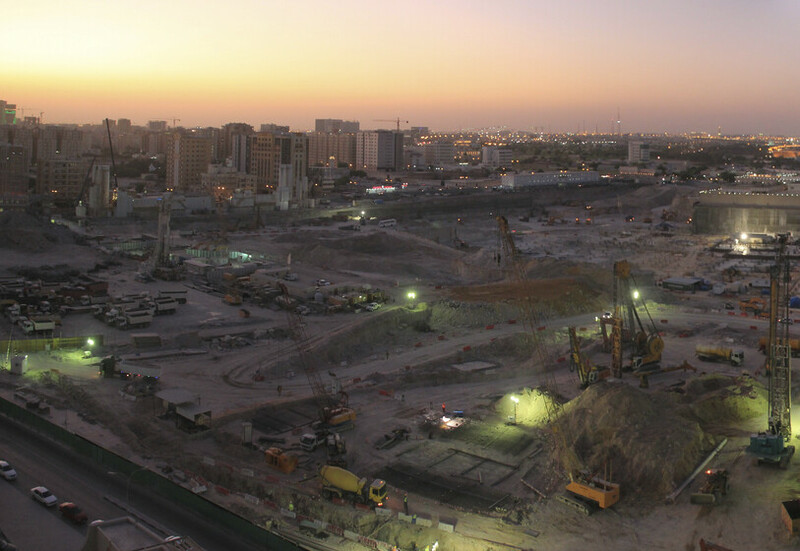 The project observes a series of sustainable design objectives to optimise microclimatic effects, enhance thermal comfort, maximise water and energy efficiency, promote sustainable waste management and reduce carbon emissions across the site. A key feature is the reduction of car use and congestion at ground level by moving car parking and service access to a network of roads and car parks below ground. This is designed to improve connectivity across the wider city area. 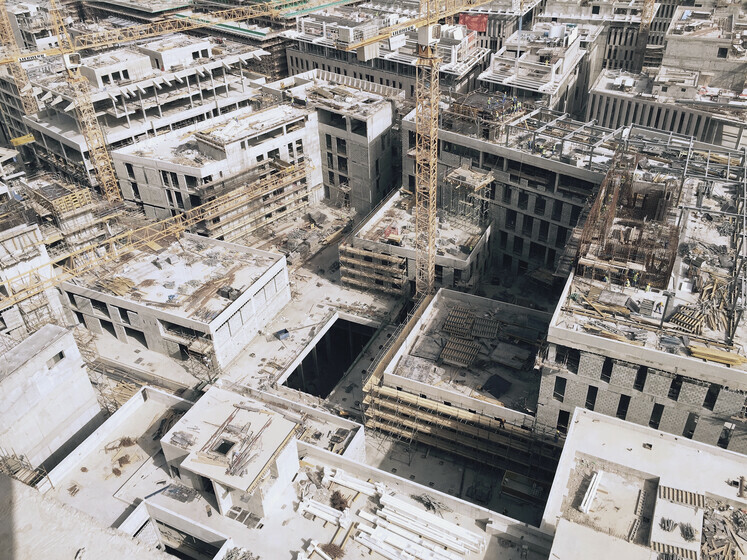 Underground basements extending over the entire site area will accommodate approximately 13,700 car park spaces, removing vehicles from the streets around Msheireb, reclaiming the outdoor spaces for the community. Positioned in clusters, the buildings benefit from the prevailing offshore northerly winds, while streets are aligned and building heights increased towards the south of the site to take advantage of the sea breezes. 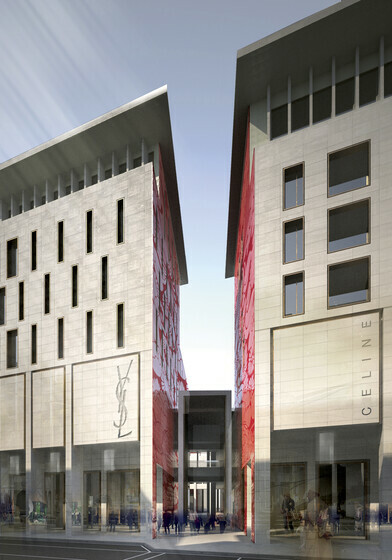 Phase III comprises fourteen buildings of varying shape, function and occupancy totalling approximately 150,000m² of occupied space with four levels of car parking underneath. Our concept design provides for 75% of the water heating by solar energy, photovoltaic’s, district cooling, and mixed mode operation to allow natural ventilation of all buildings in the cooler seasons. As part of the design process, Atelier Ten developed a façade optimisation tool to assist the design architects optimise the façade performance. 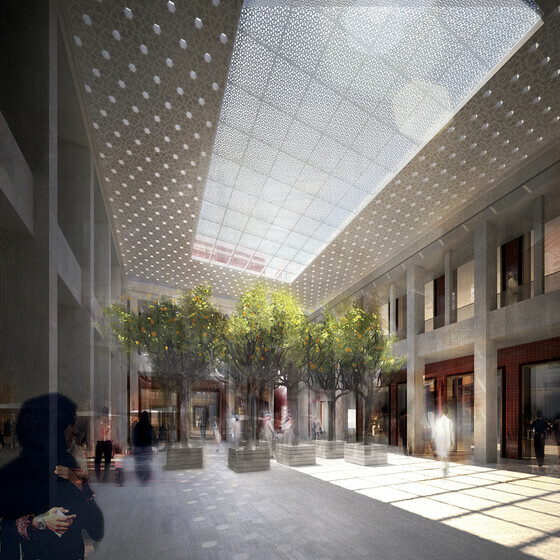 Moreover, our LEED and environmental team are confident of achieving LEED ‘Gold’ on this project. Desert roofs have been incorporated to encourage biodiversity and the proliferation of local fauna and indigenous species. Extensive water conservation and recycling measures have been incorporated into the design along with bespoke energy efficient lighting. The engineering team have modelled each building to ensure that the cooling systems are ‘right-sized’ and diversities in usage and daily diurnal patterns are incorporated into the design. The car park ventilation system has been modelled using CFD tools to control carbon monoxide levels with minimum fan energy usage. A comprehensive but simple building management system has been incorporated into the systems services design, to closely monitor and control the services functions. The apartments are designed with state-of-the-art ‘smarthomes’ technology to enable occupants to operate the lighting, comfort cooling, audio and visual systems, blinds and monitor energy use from a touch screen pad.